Will China Embrace 'Crazy Rich Asians' Like America Has? Will China Embrace ‘Crazy Rich Asians’ Like America Has? Films about family are popular in China, but will the extravagant wealth of this all-Asian romantic comedy be a dealbreaker? Three months ago, “Crazy Rich Asians” took the film industry by storm, with Asian-American moviegoers and media critics alike hailing it as a long-overdue celebration of talent from an ethnicity that has been severely underrepresented in media. 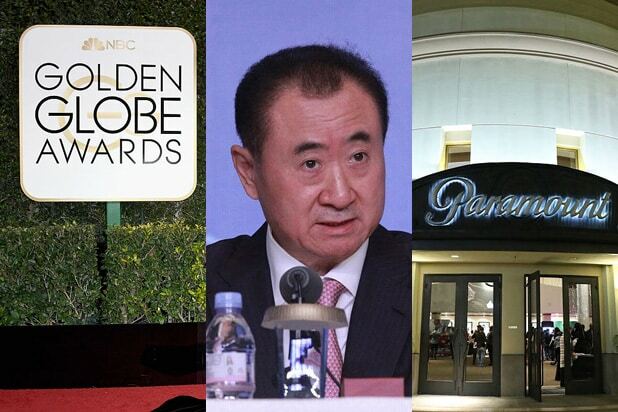 But this week, the film will be released in a market in which it will be much harder to find success: China. Regardless of how it does there, Jon M. Chu’s romantic comedy is already a success for Warner Bros., with $236 million grossed worldwide against a $30 million budget. 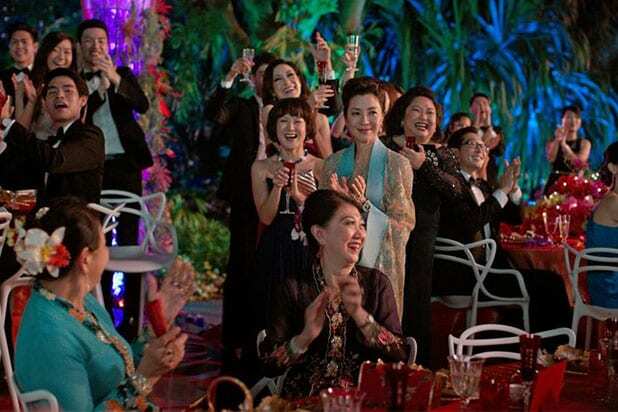 But when the Chinese film board announced last month that it had approved “Crazy Rich Asians” for release on November 30, it surprised some observers. Stanley Rosen, a political science professor at the USC US-China Institute, told TheWrap he didn’t expect that “Asians” would get a China release at all, and that expectations should be kept low for its box office potential there. While a film with an all-Asian cast was a huge breath of fresh air in the U.S., it’s not as special in a country with a growing film industry that’s releasing hundreds of films made by China, for China every year. And then, of course, there’s the extravagant wealth that’s on display from start to finish. But Rosen points out that China is on the verge of supplanting the U.S. as the largest moviegoing market in the world because movie theaters there are rapidly expanding into more rural parts of the country. In these areas, going to the movies is often the one luxury outing that families can regularly afford. Many of the Hollywood blockbusters that have become hits in China, including the Marvel and “Fast & Furious” franchises, have been successful because they’ve found a foothold in those small but numerous markets. The challenge for “Crazy Rich Asians” is that instead of offering superheroes or high-octane action, the film focuses on a romance between a couple from two walks of life. The first is the Singaporean elite that Nick Young and his family come from, full of extravagant parties held on remote islands and in enormous mansions. The other is that of the film’s protagonist, Rachel Chu, the daughter of a Chinese expat. Although the film doesn’t focus on Rachel’s mother and her life in China as much as Kevin Kwan’s novel does, it’s still a topic of discussion. While Rosen notes that the Chinese government didn’t object to this the way he thought it would, he’s still not sure that Chinese moviegoers in those rural areas will be interested in seeing a movie that looks at modern Asian culture through the eyes of a foreigner. That said, there is one theme “Asians” has going for it: the theme of family. The conflict that threatens to drive Rachel and Nick apart is whether Nick will have to choose between his mother and the responsibility he has to his family and its traditions, or his love for Rachel and his desire to start a new family with her. Ultimately, it’s Rachel’s ability to show her respect for the importance of Nick’s family that saves the relationship. Outside of the blockbusters that can provide spectacle, the foreign films that do well in China tend to be those that espouse the importance of family. Last year, the Pixar film “Coco,” while dealing with Mexican traditions, was able to overcome that cultural barrier and become a huge hit in China because of that message. In 2016, the Bollywood film “Dangal” made $193 million in China, winning praise from audiences who embraced the true story of a family of wrestlers, including one who became the first Indian woman to win a wrestling gold medal at the Commonwealth Games. Even if this weekend’s box office numbers aren’t big for “Crazy Rich Asians,” this won’t be the last time China and WB’s newest hit series will cross paths. Plans are already underway to adapt the next installment of Kevin Kwan’s series, “China Rich Girlfriend,” in which Rachel and Nick come into contact with China’s elite while traveling to the nation in search of Rachel’s father. Rachel Chu certainly couldn’t make everyone in Nick’s world happy, but she triumphed nonetheless. We will soon see how China’s moviegoers take to her and her story.